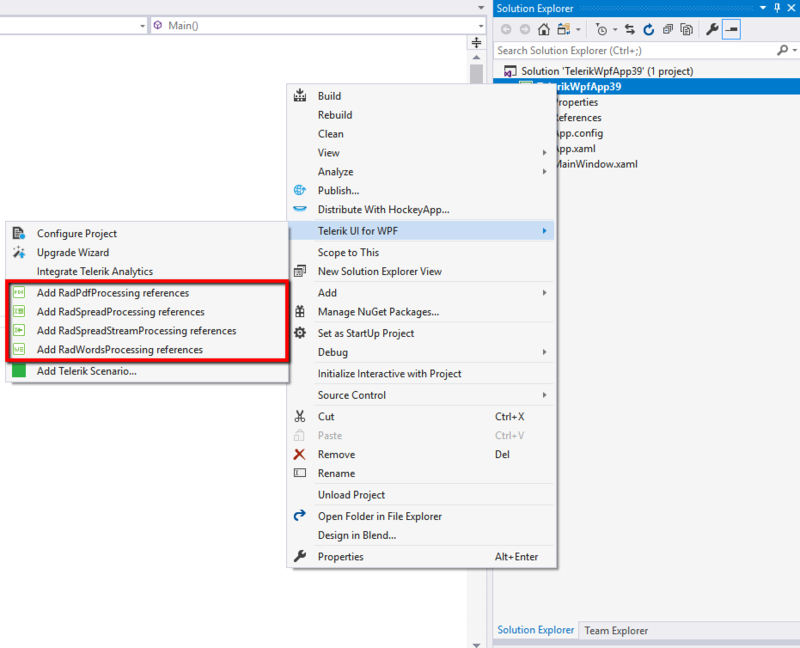 Telerik Document Processing Configuration Wizard comes with the Visual Studio Extensions of several Telerik bundles. Telerik Document Processing configuration is available when the Configure Wizard for the respective product is available. Telerik Document Processing Configuration Wizard is part of Telerik UI for ASP.NET AJAX, Telerik UI for ASP.NET MVC, Telerik UI for WinForms and Telerik UI for WPF Visual Studio Extensions. More about each of them you can find when you follow the links above. 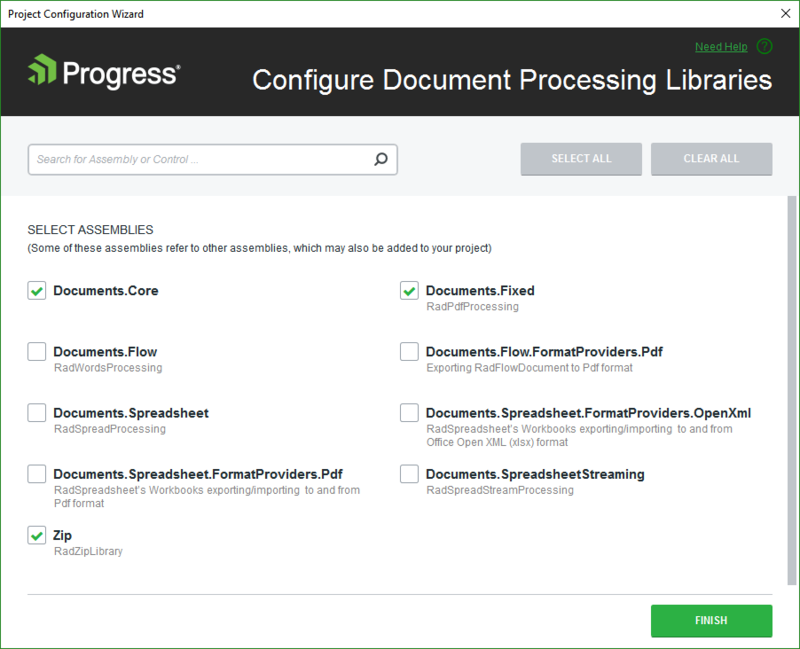 The Telerik Document Processing Configuration wizard allows you to select which libraries your project would use. If a library you selected has any dependencies, they are automatically checked. Assemblies are pre-selected based on the component you have launched the wizard through. Following is a list of the assemblies that will be selected for each library. When you click the Finish button, the selected assembly references are added to you project.